Do you need crisp, fresh shirts for work? 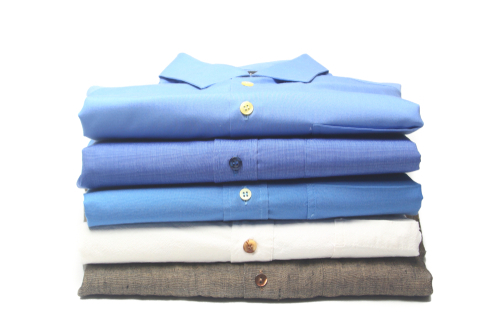 Opt in for the wash and dry shirt service from £1.79 per shirt. Laundryheap's Pre-paid Shirt Bundles are ideal for repeated shirt usage. No need to pay every time. Purchase a bundle and all the shirts you send in will be deducted as and when they come in. We understand the importance of looking your absolute best, whether it be at work or a special occasion. That is why we, at Laundryheap, offer a reliable wash and dry service for shirts, available on-demand. All you need to do is schedule a collection with us at a time and place that works for you, and we'll deliver your shirts back to you within 24 hours. If you would like to send us some shirts, schedule a collection and we can be at your door within an hour.